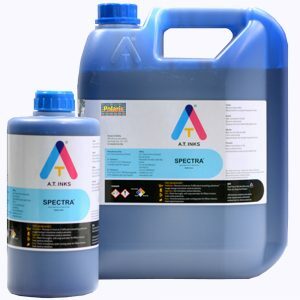 Ultra Elite H027 Inks are designed for hybrid machines and can be used in various printhead manufacturer’s products such as Xaar*, Fujifilm Dimatix* (Spectra), Konica Minolta*, Toshiba*, Seiko* and Ricoh* by varying the temperature and other settings in the printheads. Ultra Elite H027 Ink is a single ink that will work with both mercury UV lamp and LED Lamps 395 nm wavelength (8W or more). 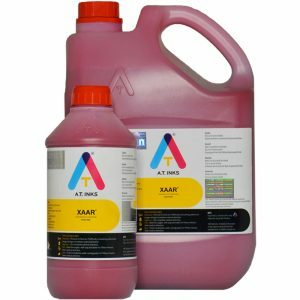 This ink is designed to work on hard/rigid surfaces with or without white ink and gives good to excellent adhesion on most rigid substrates (with/without primers). 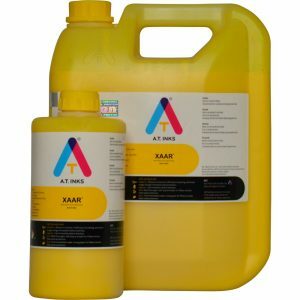 It is a 100% Non-VOC ink and has minimal odor.